Are you knee deep in zucchini? Tired of making zucchini bread? Try adding a few Asian spices to your garden zucchini. To me zucchini or Summer squash only tastes good in the Summer. But when it blooms... it blooms and blooms. I tend to prepare it Italian style with red onion, garlic and a little bit of tomato paste. This gets tiring, so I traded in my Italian seasoning for some Five Spice Powder and soy sauce. The result was a big hit with the family. 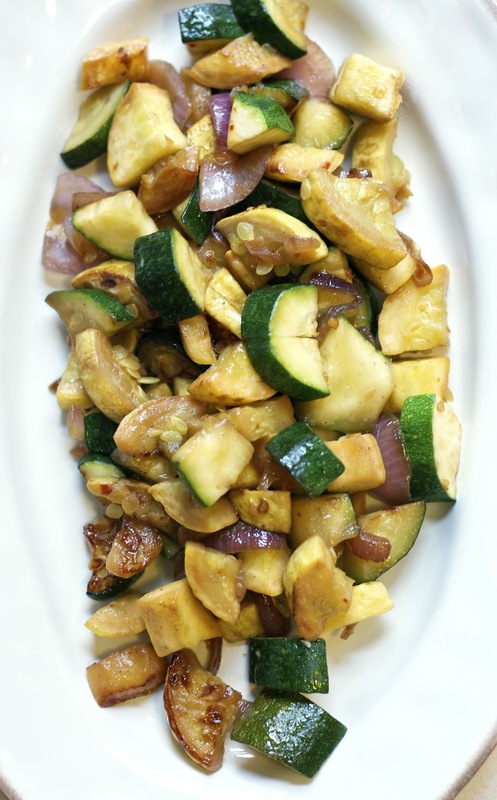 This Spicy Asian Zucchini goes really well with grilled salmon or swordfish. Terrific with Asian style chicken or pork too. 1) Heat oil in a medium skillet on medium-high heat. 2) Saute onions until soft. Add red pepper flakes and zucchini. 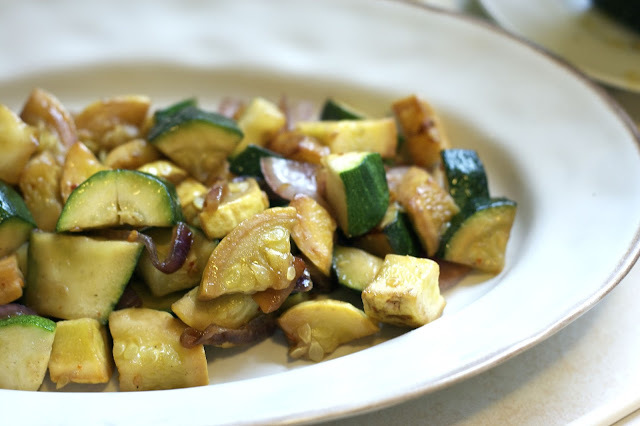 3) When zucchini starts to soften splash it with soy sauce and the five spice mix. 4) Cook until onions and zucchini begin to brown. You may want to add a little salt and pepper. Taste first. After our big zucchini harvest a few years ago, I've kind of avoided zucchini. This looks like such a great way to serve it though, I'm tempted to start buying some again (until of course I can garden again). We went through that one summer. My kids still talk about all the crazy ways I cooked zucchini. What a lovely way to serve zucchini, Diane! 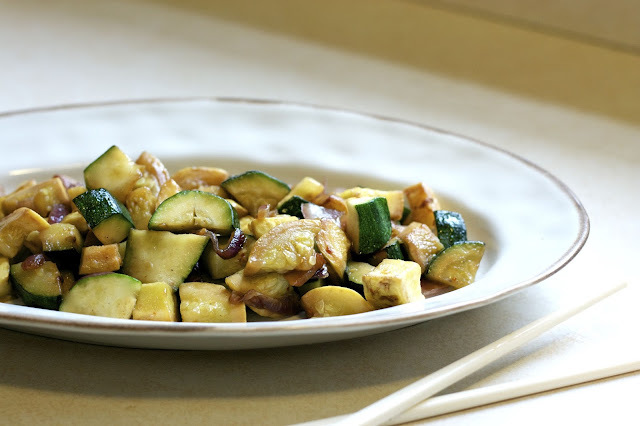 I often serve zucchini with peppers and tomatoes too but I like this tasty Asian twist. Pinned and shared. Thank you for sharing with us at the Hearth and Soul hop. Yes, I often make it the Italian way also... this is really good for a change. This looks delicious! I love zucchini any which way! Thanks for sharing at the Let's Get Real Link Up! I am looking forward to trying your awesome Zucchini dish. Thanks so much for sharing with us at Full Plate Thursday and have a great week! You are so welcome Miz Helen. Thank you. I'm going to try the Five Spice Seasoning next time I make this! It's key to the flavor.